This Lunar map emphasizes the major features on the near side of the Moon such as the Lunar Maria and large craters. 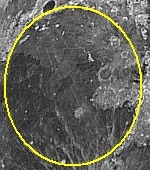 Place the cursor over the image of the Moon or over the names of the craters and maria to highlight the corresponding areas. For a tablet or mobile device, touch an area of interest for about one second. Selenography is the study of the physical features on the surface of the Moon. The first complete maps of the Moon were produced from images obtained by orbiting spacecraft toward the end of the twentieth century. 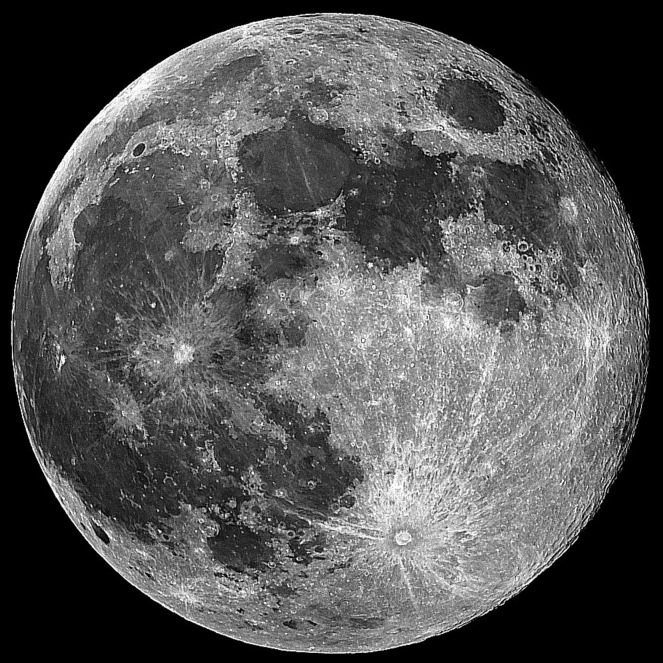 Illustrations of the surface of the Moon have been found dating before 3000 BCE, but the first true map of the Moon was produced by Michel Florent van Langren in 1645. This map portrayed lunar maria, craters, and mountain peaks. Latin names of seas and oceans were associated with the maria, and minor craters were named after astronomers, mathematicians, and scientists. The lunar nomenclature in use today was devised by Giambattista Riccioli and illustrated by Francesco Maria Grimaldi. Their work, Almagestum Novum, was published in 1651.